At a time of family crisis or loss, it is so helpful to those family members making decisions to know how to obtain important documents and to know the wishes of their loved one. During a time of crisis, it is sometimes critical to know if an individual has a living will, a health care power of attorney, or a last will and testament. Knowing the location of financial accounts and safe deposit boxes would help family members know how to proceed with important decisions as well. When a loved one passes away, information for obituaries, such as family names, educational degrees, and military service is sometimes hard to remember during a time of grief. Favorite hymns and scriptures are often sought when planning funerals. Having this information available to family members in a single location would be invaluable in helping them make decisions. The Baptist Foundation of South Carolina provides Personal and Financial Records booklets free of charge to individuals that request them. 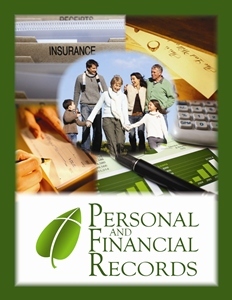 These booklets provide individuals a resource for documenting important personal and financial information that will be invaluable to loved ones when the time comes that this information is needed. Information to be documented in this booklet includes the location of a last will and testament, living will, and health care power of attorney, information about family history, information on financial accounts and property held, as well as funeral and burial instructions. Order Free Booklets – Complete the form below to order booklets for yourself or your church group.